Evelyn and Alonzo Ashworth, specialize in Mountain Recreation and Cedar City Golf Course Property, are lifetime residents of Cedar City Utah. 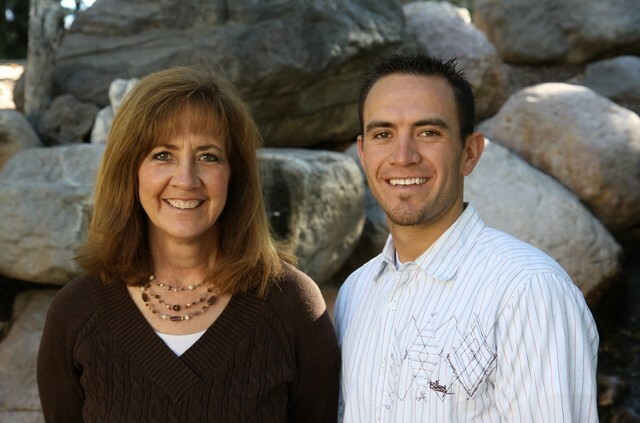 With over 20 years experience, Evelyn and Alonzo have extensive knowledge selling cabins, lots and acreage within the Southern Utah Mountains. They know the back roads and hidden by-ways of Southern Utah, and have developed special tools unique to selling real estate. Covering over 200 miles in Southern Utah, we have listings bordering Zion National Park, Brian Head Ski Resort, Elk Meadows Ski Resort, and the Dixie National Forest. We also have listings located within minutes of Bryce Canyon, Cedar Breaks National Monument, and several other national parks in Southern Utah. Many of our listings are accessible by car and truck during the summer months, and snowmobile during the winter. To many people, Southern Utah is considered home, to others, it is a second home. Any way you look at it, Southern Utah has a place for you. We have worked with many people through the years. If you’d like to read what they have to say about their experience, Click Here. Otherwise, browse through this web site to learn more about the beauty that Southern Utah has to offer! You’ll be glad you did! Own a mirror image of the Dixie National Forest. Whether choosing a castle, cabin, trailer or tent, stake your claim amid the tall pine and aspen trees, from remote and rustic to year-round properties with all the amenities. Smell the fresh awakening of spring, participate in cool summer activities, experience the fall seasons with the forest ablaze with color, and enjoy the winter with its change of scenery while snow flocks the trees and covers the ground to introduce a whole new world of fun. We sell residential homes, lots and acreage in Iron County. We have a knowledge of Cedar City’s golf Course properties. We sell recreational cabins, lots and acreage in Iron County, Kane County, Garfield County and Washington County. Most of this recreational land is tucked away within the DIXIE NATIONAL FOREST. We know the back roads and hidden by-ways of Southern Utah. We have developed special tools unique to selling real estate. We are members of the Iron County and Duck Creek Board of Realtors. We participate in the Multiple Listing Service. We cooperate with all realtors thus providing additional exposure.